Curious what the difference in taste is between Sweet Clover and Buckwheat honey? Wonder no more. Our Honey Tasting offers a selection of pure, raw, Kosher honey from different geographical and plant sources. You get five different 2-ounce portions to share with friends and family. See below for this season’s line-up! Earn 45 Points when you purchase this item! 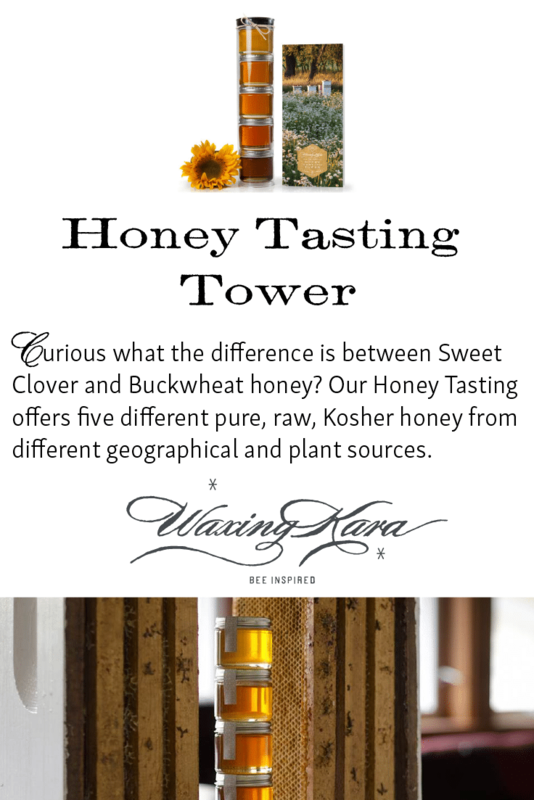 Waxing Kara’s Honey Tasting Tower tells the story of the flowers surrounding a hive. Fruity? Nutty? Earthy? 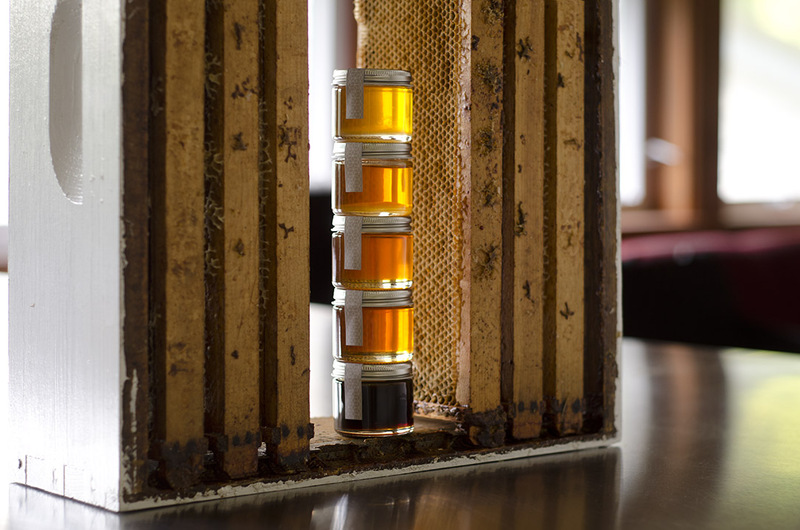 Each of the five honeys in this tower has its own unique flavor profile, based on geography, climate and nectar source. It’s almost like wine! This is a collection of small batch, artisanal and varietal honey, accompanied by a booklet of tasting notes and suggestions on how to best use each honey. We’ve included a selection of varietals that range from light and fruity to dark and earthy. Sample the honey from light to dark, just as you would wine or beer. A great way to try several varieties of honey before finding your favorite, our Tasting Tower is certified Kosher (perfect for Rosh Hashanah!) and as a hostess gift. Give it to your chef friend, a favorite teacher, or girlfriend. Blueberry Honey is rich, buttery, and as sweet as a handful of summer berries. An ideal honey for tea, cooking, and sauces, it also makes a perfect glaze on chicken and fish. 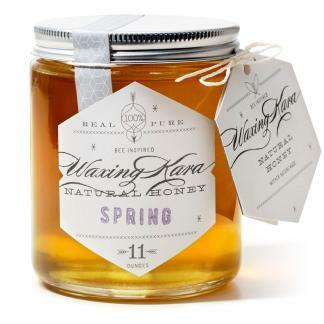 Produced on our very own Chesterhaven Beach Farm, Spring Honey is unlike any other honey you’ve tried. It’s a light green-gold color with a bright, strong floral flavor thanks to the lavender, wildflowers, and black locust trees on our farm. Perfect in tea, over hotcakes, or on top of yogurt. Made from the nectar of the tall spikes of yellow sweet clover plants in North Dakota, this honey is bright, fragrant, sweet, and intoxicating. It’s currently Kara’s personal favorite. Very sweet and incredibly thick, this is a great honey for cocktails and granola. Our Wildflower Honey comes from the nectar of wildflowers on the Eastern shore. Wildflower honey changes by season and is used by some in immunotherapy to build a resistance to pollen allergies. 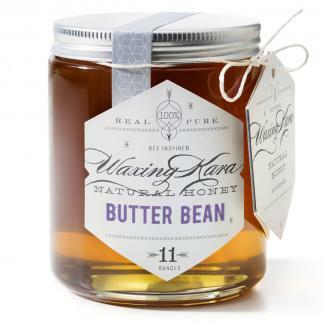 This is a mild, buttery honey that’s perfect for using fresh and in cooking. Florida Orange Blossom Honey is medium-bodied, floral, round and warm with notes of jasmine and citrus. Great for on desserts like cheesecake and ice cream, this honey is very thick and makes a perfect glaze for grilled foods as well. Also fantastic on oatmeal. This season, our Buckwheat Honey is from New York, though at times, we acquire Buckwheat from Pennsylvania. The small white blossoms on the buckwheat plant produce a hearty, strong honey. It is typically compared with black strap molasses and contains higher levels of antioxidants than most other honey. Perfect for in coffee, toast/breads and other baked goods. Avocado Honey hails from California, where hives pollinate groves of every millennial’s favorite fruit. It reminds us a little of Bamboo and Buckwheat honey in that it’s dark and rich, although it has a milder, sweeter flavor. Perfect on top of pancakes or in autumn baked goods. I brought this with me to a dinner party as a hostess gift, instead of bringing a bottle of wine. We opened it and started tasting the different honey before dinner and after dinner we enjoyed more. Such fun! We gave these as favors at a recent dinner party, and they were absolutely perfect! I made bite-sized carrot cakes to go along with them… I think that’s going to be a new staple for parties around here. The included desciption of each (and suggested pairings) is fascinating and unique as well! It is really fun to try the different varieties side by side. Please tell those bees we are fans of their work. Jennifer, Thanks for sharing the bee love! Everyone loved the opportunity to try 5 different “flavors” . We had fun comparing and it’s amazing how each honey was unique. Once you taste Kara’s honey there is no turning back. I can’t imagine buying “regular” honey now that I’ve tasted Kara’s. The Tasting Tower is an awesome gift and I look forward to sharing with family and friends. My new go to gift. Purchased this for my wife as a gift. She liked being able to taste the different honey side by side. The buckwheat was almost solid, wasn’t sure if that was right or not. Thank you for your reviews. They are so helpful when people are undecided on making gift-giving decisions. We received the tower as a gift and have now sent one to each of our children. They were a big hit. The flavors are wonderful. We can’t wait to try more of your products. Thanks for writing us Naomi! So glad you enjoyed the tower and shared it with your family. We appreciate your business! 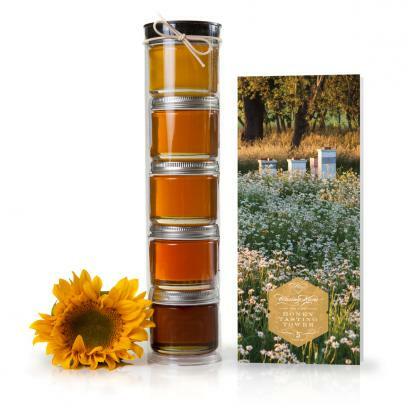 The Honey Tower is a favorite gift choice – for me and for those who receive it. Locally made, artisanal, delicious and ever stylish! The variety of tastes enable every one to become a honey person. What a great way to bring the idea of honey into your life! Thank you, Kathleen! We’re so happy that you are sharing the bees with those you love! We appreciate you!